Now we need to make an airline reservation. Airfares have been going up as the number of carries goes down (Us Air and American merger is now complete). We have seen airfares fluctuate all over the place. We were paying $1100 to $1300 per person for a roundtrip non refundable fare (Philadelphia to Rome non stop). Now it is hard to find these but they do exist. Off season you can get fares for $800 to $1,000. We have seen fares at $1,800 and some as high as $2,500 for non refundable. That is crazy! Multiple stops are sometimes cheaper at $750 to $1,000 but can cost you an extra night in a hotel. We saw some that flew you from Philly to Charlotte and then the next day Charlotte to Rome. One discounted fare of $750 flew you Philly to London, London to Moscow and then back to Rome. The European airlines are offering discounted fares within Europe. You might be able to find the cheapest airfare to any big city in Europe and then take a discount airlines to your Italian destination. If we chose to do this, we would spend a night or two at that city and see it. Then you are on European time and can continue to Italy. Having a frequent flyer card can get you free flights but it takes a lot of miles (usually 110,000 to 130,000 miles per roundtrip fare). 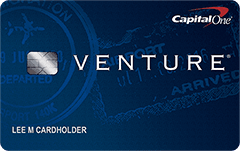 We use the Capital One Venture Card which gives you 2 points for every dollar you spend on anything with no limits. You can at any time redeem points for $.01. It becomes a discount on your account. It doesn’t have to be for airfare. That is a 2% kickback on your account. If you plan to travel often to Europe as we do, you will need a card similar to this to help reduce overall airfares. There is a bonus program now that offers 40,000 points if you use the card and spend $3,000 in first 3 months That is a $400 bonus). You can easily do that by putting all your bills on the card and using it at every store you visit. Airfare shopping is important and may be your most expensive single item. Experts say that booking an airfare between 20 and 22 weeks prior to your trip date will yield the cheapest fares. Being flexible on dates you travel can also reduce fares a lot. Leaving on a Tuesday or Thursday usually yields cheaper fares than a Friday through Monday. How to get Cheaper Airfares! Off season – If you travel outside the normal tourist season you can get substantial discounts. The destinations are much less crowded as well. You do have to be aware of climate or you could end up in a snow storm. Discount Sites – Theses sites usually offer the same prices as the airlines if you are buying only an airfare. They can provide discounts if you add in hotels or car rentals. Hotels can be at a substantial discount. Last Minute Travel – If you are retired or have a job where you can travel on a moments notice, you can save substantially. Be aware you might also be locked out from over booking. Airlines drop prices as the departure date nears and there are seats available. The more seats open the more discount they will offer. Look 3-4 days around your departure date – Checking prices before and after your departure date may help to find cheaper fares. Flying Tuesday, Wednesday or Thursday instead of weekends can save you money. Most airfare sites offer an option to take the dates you entered and show you 3-4 dates on either side. They then highlight the cheapest fares. Non Stops – Non stop flights are cheaper but you might have to spend several hours to 10 hours in a connecting airport. This is not how you want to start or stop a vacation. I saw one airline offering very cheap fares Philadelphia to Rome but it connected in Moscow. That is way out-of-the-way. Some connections require and extra over night. You either sleep in the airport or you have to get a hotel room which reduces the savings. Choose your Airport – Where you depart from can make a big difference in airfares. Here in the northeast leaving from New York Kennedy can save $400 to $500 per ticket. That more than makes up for parking or van services. Doing your homework and being a little flexible can save you a lot of money. Maybe even your hotel costs. If you are going to be staying at hotels in Europe use services that will discount hotel fees to get your airline dollars. Traveling to Italy is important. It is the dream of millions of people. It doesn’t have to be just a dream. It can be a reality. Save each month for a vacation to Italy. When you have enough, make reservations. See this beautiful and romantic country. Airfare is the most expensive part of the trip. Traveling off-season can drastically reduce airfares. Stay in small European hotels not big name American hotels. Make sure you have a private bath. Eat in bars or a trattoria. Never travel in August! It is hot and very crowded. List the cities you ant to visit. Don’t try to do all of Europe or even all of Italy in one trip. List the top things you want to see in each city. If museums are your thing, list the top things in each museum that you want to see. Don’t try to do all of a large museum. Research Italian hotels. Look at location, price, amenities and other travelers reviews. Don’t worry if breakfast is included. Breakfast in Italy at a bar is cheap and delicious. Estimate the time you need in days in each city. Then estimate travel time between cities. You can fly, drive or take a train. Flying gives you the most time in your cities if they are a distance from each other. Trains are romantic and you can see the country side. List entrance costs and local transportation (metro) to get to each attraction. Many cities can be walked if you are in shape. Now estimate your trip. List days in each place and when you should go. Airfares are often cheaper on Tuesday through Thursday than weekends. Now you have an itinerary and an estimate on cost. Add in spending money and extras that you will find spur-of-the-moment. Now you are ready for a wonderful trip. Sit back and enjoy it. Visit the main cities first. See the top ten things in each city. Experience the city as an Italian. Meet and talk with people. Most Italians speak some English as it is the national second language. Visit small mountain and sea-side towns next. Some of these are so small that the large tour busses can’t get to them. Never go to touristy restaurants or shops. Be spontaneous and see what you find during your walks. Have a general itinerary but be spontaneous and be able to change it. Experience not just the monuments but the people, food and wine. Italy is a passionate and romantic country. Experience all of its emotions. Do you fly non-stop or do you try to save a little on a stop or two? We get airfare deals in email all the time. Most are scams. You see the sucker price and say to yourself, “WOW what a great price to Italy!” Then you click on the price and all the listed airfares are higher. You have been suckered! We fly non stop Philadelphia to Rome. Many flights with stops have extremely long layovers. The last thing we want to do after an 8 to 10 hour flight is wait in some airport for another 8 hours to catch a connecting flight. Our non stop gets us to Rome and then we have a 4.5 hour drive to our home in Italy. Yes we could fly into Naples or Salerno and be much closer but again we are sitting in an airport for longer than the drive time. Besides getting off the plane and renting a car starts your adventure. Driving and looking at the sea and mountains is exhilarating. We can see many small towns on the mountain sides around us. We usually stop at an Auto Grille on the Autostrada to get something to eat and stretch our legs. All in all, the time goes by quickly and we are in Italy. Soon we are taking the exit for our all town and our anticipation heightens. We get really tired of the airfare scams going on in the airfare business today. Basically all the discount sites offer the same airfares as the airlines except at last-minute when seats are unsold. The discount sites offer good deals in packaging hotels in with an airfare. We get emails about airfares from Philadelphia to Rome all the time. The normal fare is between $1200 and $1350 roundtrip per person. The emails state airfares as low as $750. If you click and go to the site there are never any $750 airfares. There may be $950 which is still good, right? Wrong! These airfares have long layover stops in some city. Some layovers are as long as 11 hours. After a 7 to 8 hour trip, do you really want to sit in an airport for 11 hours and then fly another 2 to 3? To us it isn’t worth the savings. We can go non stop to Rome from Philadelphia in 8 to 8.5 hours. Then we are in Italy ready to rent a car or take public transportation. You don’t want to start a vacation of a lifetime with a horrible travel itinerary. If the savings are important to you, then stay at the city your plane lays over in for a few days. This way you’re not stuck in the airport and you can begin your vacation. Some airlines may up the price if you get off in the layover city. Check first. Sleep if you can. Even if you can get a few hours it will help. Watch movies. Most of these planes have monitors in the back of the seat in front of you. You can select movies free from a large list of titles. Play games. These plane entertainment systems have games as well as movies. Read a book. This is the perfect time to catch up on your reading. Write your own book or those letters you have always wanted to write. You can catch up on email or Facebook time. Most airlines offer internet WiFi on their planes for a small price. Before you know it breakfast is being served and then you are landing at your destination. Enjoy your travels. Tis the season to travel to Europe! The dollar is down compared to the Euro which is great for us. Not long ago we were paying $1.40 to buy a Euro. Today it’s $1.24. That is about 13% better! Imagine a 13% discount on your travel expenses. This time of year is crowded with Americans and airfares can be up. You still can find a good fare if you shop. Many Americans like to travel over Thanksgiving week or the week after because they get 2 extra days. If you go Thanksgiving week you only take off 3 days and get 9 days of vacation. If you go the week after you take 5 days of vacation and get 11 days of vacation. Christmas is also a great time in Europe. You can feel the holiday spirit in the lights and stores around Europe. In northern Europe you have an excellent chance of a white Christmas. Join the Europeans in a bar, pub or restaurant. Warm yourself by the fire and enjoy your food and drink slowly. Look around you and observe the European way of life. Europe is romantic! Go and rekindle your relationship. Don’t travel to 21 cities in 21 days. Don’t hop country to country. Pick your favorite spot and enjoy a relaxing time with the person you love. Hold hands and stroll the streets slowly. This will make memories you will never forget. Do Airlines Have fair Pricing? I fly between the US and Europe a lot. Airlines only post pricing about 11 months out so you don’t have a lot of time to plan your vacation at work and make reservations. Typically prices are posted high at first. They then drop and can then go up and finally drop as the departure date nears. I use US Air from Philadelphia to Rome a lot. It is a non stop flight and they use comfortable planes. Pricing for this trip can be as high as $2100 for couch non refundable and as low as $1200. I can usually get it around the $1200 end of the scale. Sites that offer discount airfare have come-ons that say Philly to Rome $896. When I click on ad there is NEVER a fare for $896 but there are fares for high $900’s. This is a good fare until you realize it makes one or two stops and you can spend 9 to 12 hours in lay overs. Sometimes it is a night stay somewhere. This raises the cost if you get a hotel or makes for a very uncomfortable trip if you stay at the airport overnight. For me, I want non stop on all my flights. 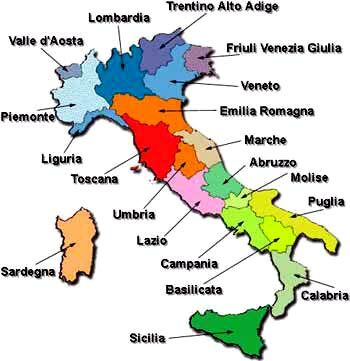 Get me to Rome as quick as possible so I can get my car and start traveling the beautiful Italian countryside. While the cheaper flight would have me in some European airport stuck behind security, I could be having a panning and glass of wine in a beautiful hill-top town.